This weeks recommendations come via Buz Ludzha and Leon Vynehall. Like a number of other tracks we have featured in 2016 we discovered both these records via Boiler Room’s exceptional ‘Boiler Room Debuts‘ series, which has arguably become the most consistent and reliable source for hosting exclusive new music. 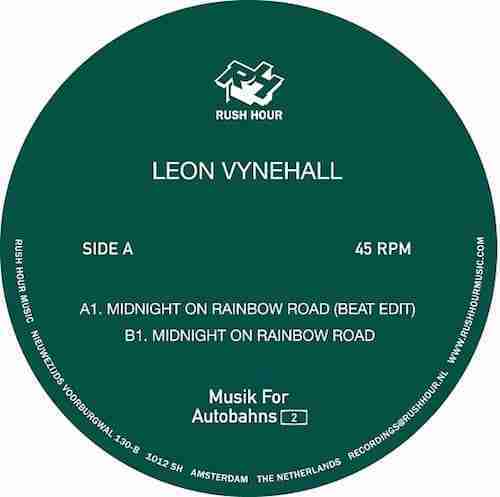 Technically Leon Vynehall Midnight On Rainbow Road was released in 2015 as part of Gerd Jansons ‘Music for Autobahns 2‘, however its now getting a full vinyl release, hence the inclusion here. As always these tracks can be found on our BBB – 2016 (WIP) playlist.